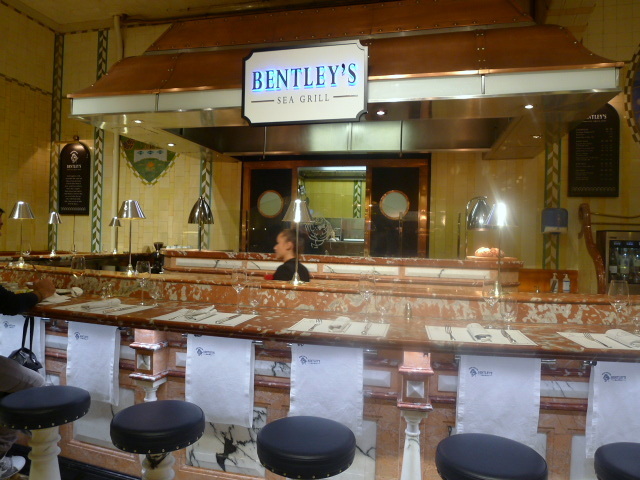 Bentley’s on Swallow Street near Piccadilly Circus has been serving the masses since 2005 and is particularly well known for its oyster bar. A Richard Corrigan restaurant, there is also a formal dining area upstairs known as The Grill. 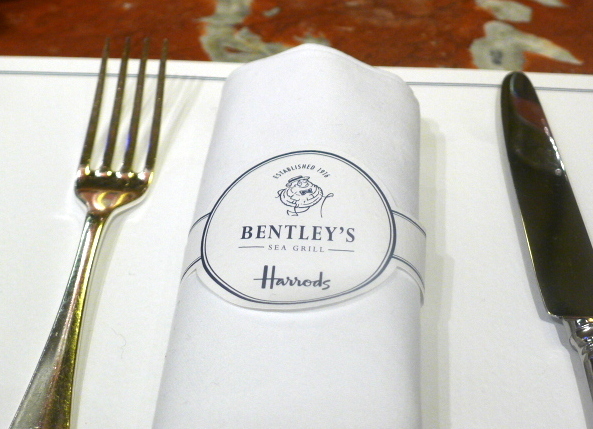 Such has been the success of Bentley’s, an offshoot recently opened in the food hall at Harrods. Known as Bentley’s Sea Grill, it operates a bar service with tall stools perched around the marble countertop. This is the latest addition to Harrods which already has a wealth of eating options including Galvin Demoiselle Petit Bistro. 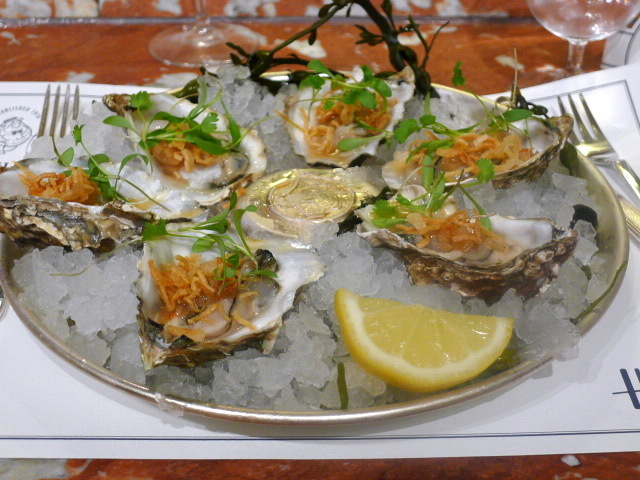 Vietnamese (Carlingford) oysters (£22) – a Bentley’s classic and also available at Corrigan’s Mayfair – was topped with fried shallots, ginger, chilli and vinaigrette for a lovely, refreshing combination. The oysters were fresh, juicy and sweet, and the crunchiness of the shallots really worked to give the oysters a moreish crunch. In a mixed seafood cocktail (£24)- the meaty flavour of the lobster, albeit a little salty, and the sweetness of the crab were enjoyable. 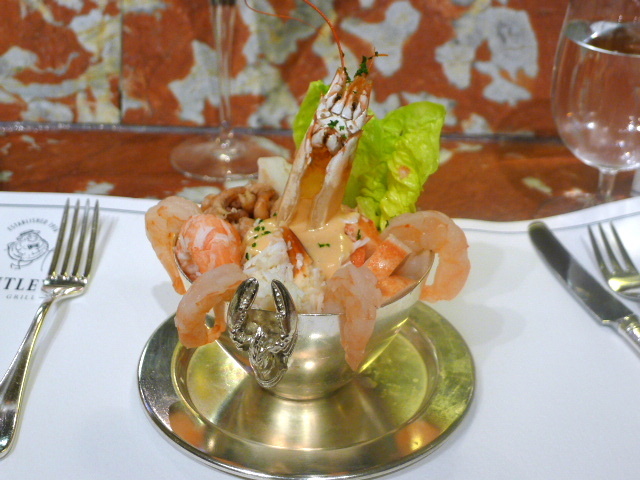 However the prawns and shrimp were bland. 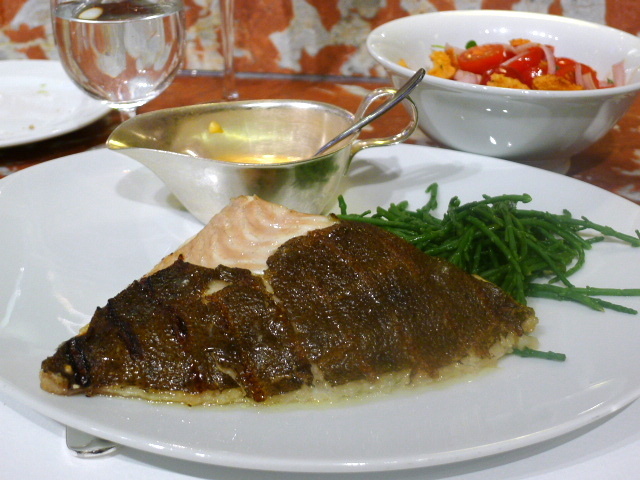 A turbot on the bone (250g – £33.60) was nicely cooked and proved to be moist, succulent and extremely fresh. As a really nice touch, the fish available was presented to us so that we could personally select the piece we wanted for cooking. 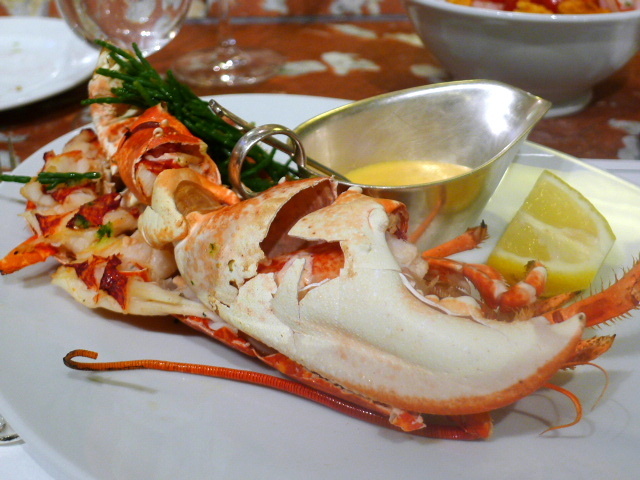 Less successful was the half lobster (£35). The portion, at half of 1.5lbs (about 340gm including shell) was teeny, and it came out a little dry. The accompanying samphire boasted of a great sea flavour but was salty. This was pricey for such a small and poorly delivered portion, and proved poor value for money. The vine-ripened cherry tomatoes in a tomato and red onion salad (£6) were gorgeous. Bright red, they tasted deliciously sweet and barely called for any dressing. 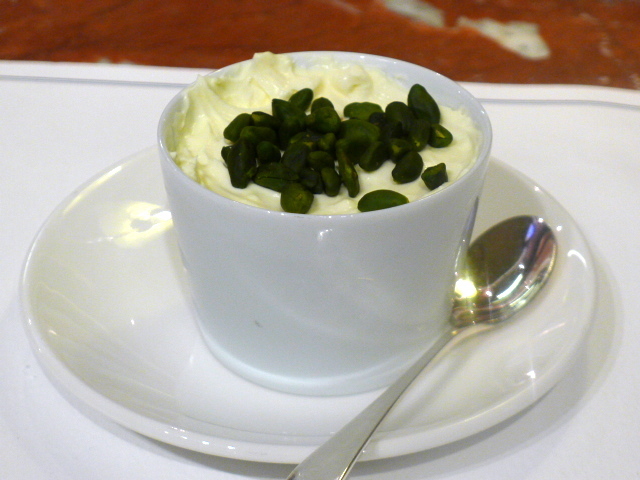 I couldn’t help but devour a glorious valrhona chocolate mousse (£8) topped with a thin layer of whipping cream and pistachios. Heavier set and thicker than a traditional mousse, it tasted almost praline like. The nutty crunchiness of the pistachios was a fabulous addition, and the cream helped to cut some of the richness of the mousse. Gorgeous. Lobster aside, the rest of the meal was decent with the highlight being the mousse. But for what you get, Bentley’s Sea Grill is very expensive, no doubt geared towards a rich shopping crowd. Prices: £43 to £68 for three courses. Excludes drinks and service.